There is an old saying that, if someone calls you a stupid person and you get angry immediately, it then implies that you are indeed stupid. The saying goes further to explain that you should first of all look around if you have done a stupid thing, if none then you are right to get angry. Remember stupid in a simple definition is lack of intelligence. Now in this vain I suggest Buhari could be mad. Because a person that killed your father and expect you to forget about it is obviously not with his senses, mad is simply being disturbed, upset or unsound in mind. Buhari who has played a key role in agonizing Biafrans especially in 1968 where he slaughtered over 2million Biafrans at Owerri is today telling us to throw all that to the wind and answer to one Nigeria; so I asked, is this person not mad?.If the Hausa/Fulanis were victims of all the evil being perpetrated on Biafrans,I asked again, would Nigeria still be one onto this day?.Boko haram has been confirmed globally to be the world most dreaded terrorist group.Members of this group who pose a threat to global peace are being released from prison on a daily basis in Nigeria, whereas Mazi Nnamdi KANU (Prisoner Of Conscience) the leader of the Indigenous People Of Biafra (IPOB) is being held in kuje prison by Buhari for exercising his legal human right by asking for the freedom of his people from the British experiment called Nigeria. Now you readers help me judge, is Buhari normal? In an assumed democratic republic like Nigeria that runs a judiciary, a President could have the guts to go public and declare he will not free an accused person whom the court of law has not convicted. When a President in this 21st century does not know his office has no right to interfere in judicial matters because himself is subject to the judiciary, is that President sane?.Few months ago a Biafran woman by name Bridget Patience Agbaheme was beheaded by Hausa/Fulanis in Kano northern Nigeria and recently her killers were all freed without facing the full wrath of the law and you want to tell me that the President of that country is not mad.He is mad.We have BBC hausa radio and the administration of Buhari is fighting tooth and nail to stop a radio Biafra is that not madness. President Mohamadu Buhari who pay deaf ears to the menace of Fulani herdsmen(rated 4th most dreaded terrorist group in the world) in Biafra land but do not hesitate to send soldiers to shoot peaceful Biafran protesters should be advised to go for a brain check up. Today he is gradually bringing war to Biafra again like his formal colleague Yakubu Gowon did in 1967.He has declared OPPRESSION CROCODILE SMILE in the riverine area of Biafra land and OPPRESSION PYTHON DANCE in the upland and he thinks we are not taking records. The presidential legal thugs by name DSS few months ago raided the home of the Judge who said Mazi Nnamdi KANU (Leader Of Indigenous People Of Biafra)should be release unconditionally because the federal government of Nigeria has no case. Later report by the Judge,Justic Ademola Adeniyi carried that the DSS had claimed it was an order from above. It is now glaring to the world that somebody is taking the said country (Nigeria) to be some sort of cattle ranch where he is solely obliged to decide what happens and what does not. Buhari who knows what is treason felony and how it looks like because he committed one on the 31st of December 1983 by overthrowing a democratically elected government of Shehu Shagari, would not accuse Mazi Nnamdi KANU who merely asked for the freedom of his people of treasonable felony if he is not mad. He appointed his sister from Katsina state by name Justice Binta to preside over the case of the only Igbo's fearless and outspoken son Mazi Nnamdi KANU so as to jail him and he thinks we are not watching. The day they dare it, we the INDIGENOUS PEOPLE OF BIAFRA (IPOB) is promising that Nigeria will boil hotter than hot oil.Note: this is not a threat but a promise under solemn oath. If President Mohamadu Buhari is in his sane mind he would not reply Martine Dennis of Aljazeera that Biafrans should not joke with the Nigerian security when he was asked to watch video of his military thugs(Nigerian soldiers)shooting unarmed Biafrans on February 9th 2016.If he is sane he would know that not showing concern about the killing of unarmed people could land him in jail because as a President he is ultimately responsible for the actions of security forces in his country. Buhari was asked why he made a foreign exchange policy that affects citizens who have children schooling abroad like he does and he said those who can afford it can afford it. Obviously telling us that he is one of those who can afford sending their children abroad for education, this is the same person that told us he couldn't afford nomination fee while running for the office of Presidency. And you say this person is normal? Buhari who is the President of Nigeria told a foreign interviewer, “You know more about our budget than I do”. Seriously? And lately he told Angela Merkel of Germany that his wife belong to his kitchen,living room and other room. These answers cannot be coming from a sane mind. If Buhari is not mad he cannot be talking about coming to Enugu Biafra land for whatever purpose after killing our brothers, sisters ,mothers and fathers.If he is not mad he is supposed to know that the gentle movement of the lion does not make it harmless.He is supposed to know that we are not fools and we don't wish to see him anywhere near Biafra land.Few week ago be mounted pressure on Telecommunication Networks in Nigeria to increase data tariff by 300% because he doesn't want us to keeping exposing his ill attitudes on Biafrans to the world. But we are ready in whatever form he comes with because Biafra must be restored. It has been written from the beginning of time by the Creator. If Buhari is not mad he cannot expect us to accept secret trial of our leader Mazi Nnamdi KANU when he(Buhari) consecutively disobeyed court verdicts ordering the release of him. Hence we the Indigenous People Of Biafra is warning Muhammadu Buhari to stay clear Biafra land until he obey pending court orders in regard to the incaceration of our leader Mazi Nnamdi KANU and other Biafrans in his secret cells all over the British experiment called Nigeria. 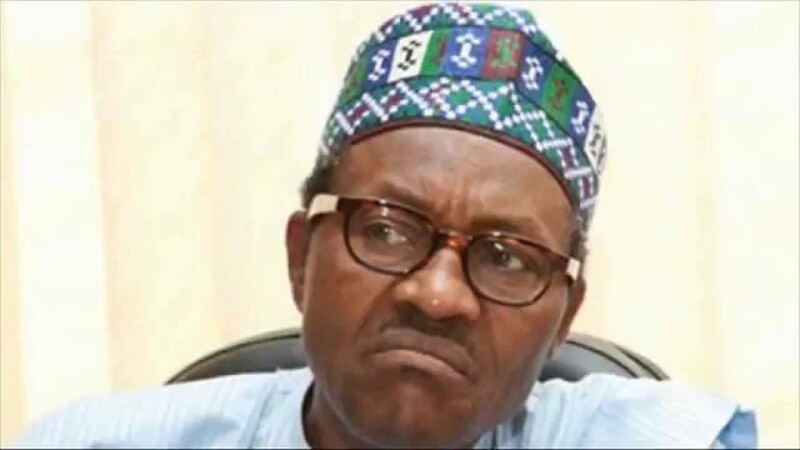 BUHARI IS PLANNING A SECOND CIVIL WAR, he is mad!